Scrap Shotz Snap Shotz: Introducing...the Scrap Shotz Design Team!!! 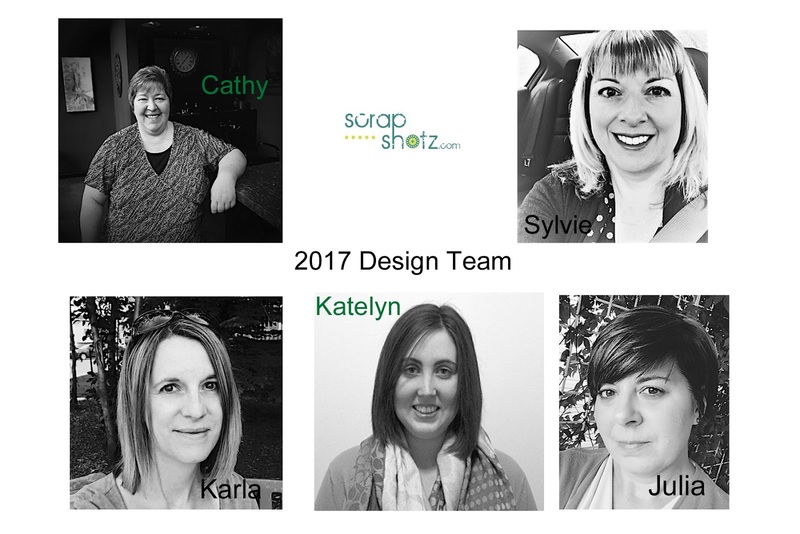 Introducing...the Scrap Shotz Design Team!!! Let me start by saying on behalf of Sandy, Scrap Shotz owner extraordinaire, THANK YOU to everyone who applied for a spot on the team! The high calibre of talent made the decision tough! Let's hear from the new designers in their own words. "My name is Cathy and I've been crafting in some form or other as long as I can remember. About 22 years ago my best friend bought me a rubber stamp and the rest is history. I have been stamping and making cards etc for years, but it's only been in the last couple of years that I have been sharing my work and trying out some new things. I love mixed media and being able to use so many items I've been "saving" for eons. I have also started to do scrapbook layouts using some of my favorite pictures, I know, I know I'm behind on that too! My newest addiction is making journals and I have a huge list of those to make as well. I have been very fortunate to be able to work with some amazing companies and share their products. Excited to be part of the Scrap Shotz team and looking forward to this new adventure and sharing what I learn with anyone that wants to stop by! " "Hi there! I'm so excited to be a part of the Scrap Shotz design team! 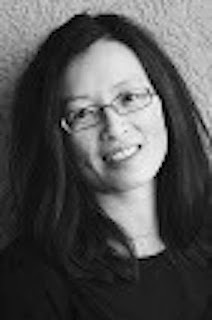 A little bit about me: I have been married to Brian for almost 30 years and we have two grown children who we adopted from Kazakhstan in 1997. My real job is as a Corporate Officer for the local government. I have been scrapbooking since 1998 and I love scrapbooking regular layouts, pocket pages, mixed media, and card making. Now that we are empty nesters, it seems that I scrap mostly travel pages but once in a while I scrap my kids (if I steal photos from their social media accounts!). I am honoured to be part of the team and look forward to getting to know everyone!" 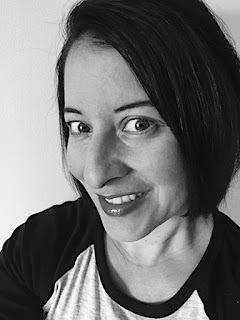 Karla is taking on a brand new role on the Scrap Shotz team as our very first Page Kit Designer. We've been asked many times about offering Page Kits and have decided to take the plunge! So thrilled to have Karla working with us on this new adventure, we are aiming to roll out our very first Page Kit in October😊. "Hi friends! I'm Karla Yungwirth - blessed with three wonderful girls and an amazing husband. We live in Calgary, Alberta, Canada, but I'll always be a Maritime girl at heart, as I grew up on the East Coast. I'm home with my girls and we all love crafting together - it's awesome to watch them try new ways to use supplies! I've been crafting as long as I can remember. My mom was always recycling something old into something new for my sister and me, my grammy knitted and my nanny sewed and crocheted. I'm so blessed to have had their influences in my life. About 16 years ago I was introduced to scrapbooking and it was a whole new world! This led to card making and mixed media. I love trying new things and have met so many amazing people on this creative journey! You can always find me with a cup of tea and a crafty project." "Hi Everyone! I’m Katelyn Grosart and I live on beautiful Vancouver Island, British Columbia with my boyfriend. I’ve spent the last 8 years in the papercrafting world creating cards, mixed media pages, scrapbook layouts, mini albums and altered items. In my spare time when I’m not crafting I like to read a good book and when the weather is nice, you’ll often find me outside taking advantage of the beautiful Canadian weather." "Hello! My name is Julia and I live in beautiful Calgary, Alberta, Canada. I have been a life long crafter but have found my true passion in card making, mixed media and art journaling. Having inky hands and paint splatters on my face at the end of the day makes me happy. Follow along as I create in my small piece of Paradise and try to inspire you!" The team is super excited to bring you a diverse mix of projects featuring the Scrap Shotz monthly kit and the latest and greatest products in the store. Bookmark us and follow @scrapshotz on Instagram and Facebook! Congratulations to the new DT; looking forward to seeing your creativity here! Congrats to the new Design Team members! Can't wait to see all the creativity. It's so awesome to join the team!! Looking forward to having lots of crafty fun with everyone!